So by about the 15th of January, I put myself to the task of reading a book for every day of the month. Interestingly enough, I achieved reading 33 books for the month of January. I wouldn't say that I was inspired, but I was certainly curious after reading different posts about people who managed to read 365 books in a year. I don't know that I'll be able to keep this up for the rest of the year (especially as classes have now started), but it was a fun and enjoyable experience to devour so many books. Of course, many will challenge my concept of "reading" given what follows, especially when they realize that of the 33 titles, only 4 are traditionally books that were traditionally "read". 13 "books" were graphic novels which my friend reassures me do not count. Coming in at about 1-2 hours to read, I may be inclined to agree. Of course, if I switched these out for some young adult fiction, would that count? Mayhaps. But even if I made a 4 to 1 ratio of graphic novels to books. That still might only account for 7 books physically read this month. The rest were audiobooks. Unabridged books listened to while driving, doing chores around the house, having breakfast or other meals, while on walks and other such times when my eyes cannot afford to read from a book. My friend assures me that these do count (for now). So here is the breakdown (listed in reverse order of being read--just cause). Kindred - Butler, Octavia E.
Learning in Adulthood: A Comprehensive Guide - Merriam, Sharan B. The Cocktail Waitress - Cain, James M.
So what were my favorites? You can check out my Goodreads listing for some indications of what I really liked or didn't, but here are a few high water marks of appreciation. I remember encountering the abridged versions of these audiobooks in the 1990s and being interested but highly confused by them. 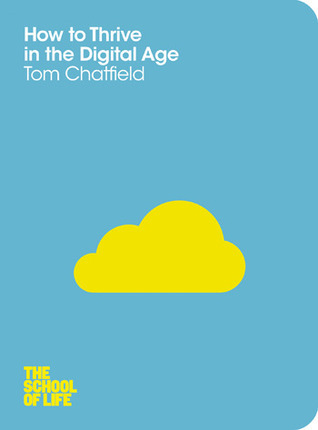 Now available as unabridged, it was much more enjoyable and made much more sense. I enjoyed the first five books (surrounding Corwin) much better than the second five books (surrounding Merlin), but they were highly enjoyable. The first five were narrated by Alessandro Juliani who I enjoyed a lot while the second five were narrated by Wil Wheaton (of Star Trek: TNG fame). He was equally enjoyable though because I wasn't as enthralled with the books, I didn't enjoy his narrating as much. It was a series that's been hovering in my periphery for a while and I'm glad I got back to it and finished it. I've read several other Frankenstein adaptations with mixed experience. I'll say that I really did enjoy this one. 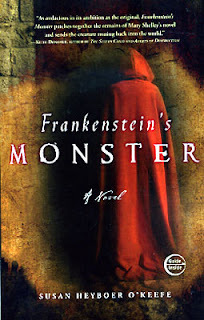 Her juxtaposing of characters and following the life after Victor Frankenstein was well thought out. by James Cain (of Double Indemnity, The Postman Always Rings Twice, and Mildred Pierce fame) was quite an interesting listen. Largely, it feels like a Mildred Pierce meets Double Indemnity. The noir story told from the (innocent?) femme fatale point of view. God Believes in Love: Straight Talk about Gay Marriage. The end of a series that I've been following for years. Violent and raunchy to no end, it went out like it came in--as bloody and offensive as possible. I look forward to what new series Garth Ennis will be working on. It always seems like he and Warren Ellis are in a race to the bottom in terms of how low their standards are and yet, in the end, their storytelling is still highly enjoyable. That's this month's reads. I don't think I'll have the same numbers for February, but I'll certainly try!